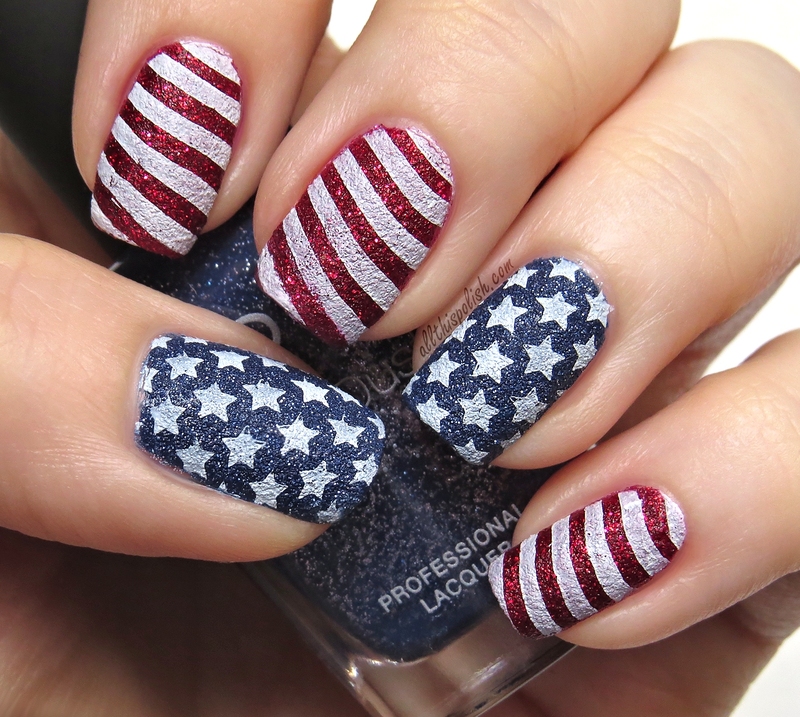 So I did end up doing a second July 4th manicure on Friday afternoon, to wear for the rest of this weekend. I posted a quick cell phone shot on Instagram Friday after it was done, but Saturday morning I was able to get some better shots in natural light with my Canon. 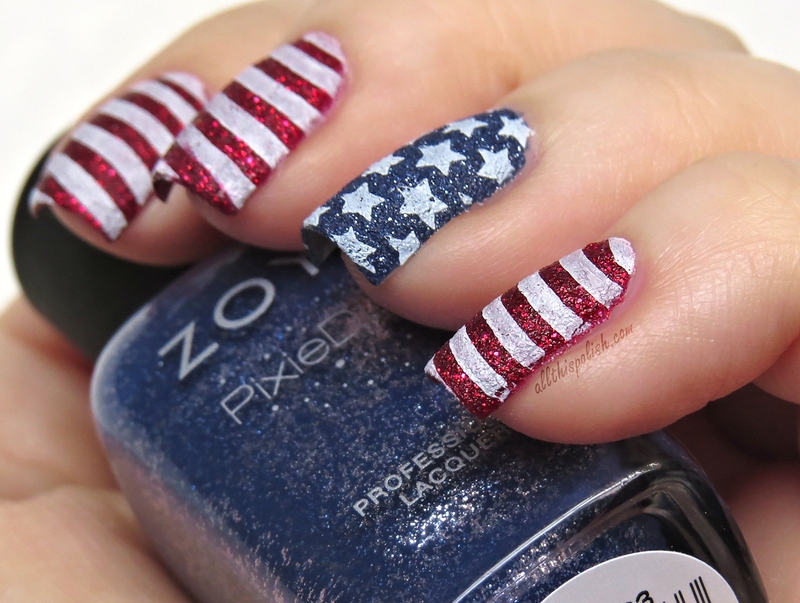 I wanted to break out a few Zoya PixieDust polishes because I thought they would work well for another flag design. 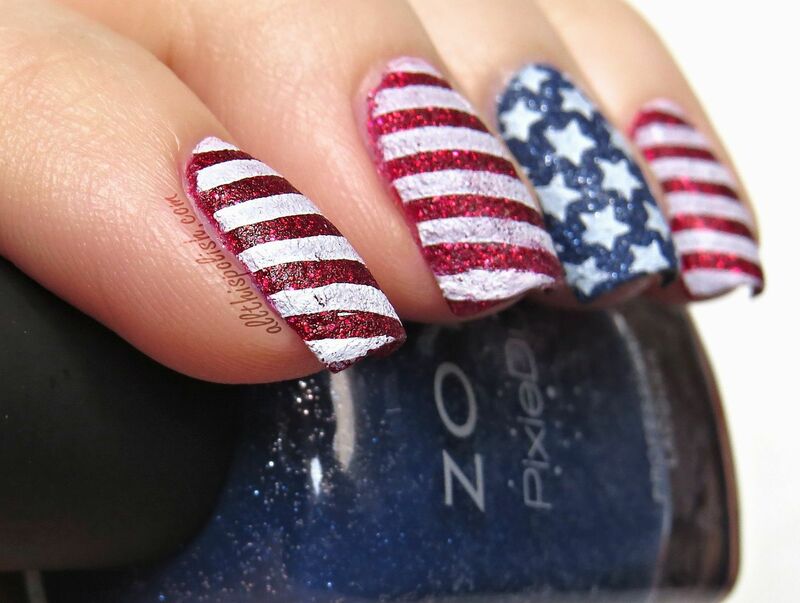 I'm so glad I did because I'm pretty sure this is now my new favorite July 4th manicure. Initially, I was a little worried that the stars and stripes wouldn't show up that well over the darker colors, but the stamping actually came out more opaque than I expected. I really like the way the white has just a slightly faded look to it. Mixed with the texture of the PixieDust bases, it really reminds me of pictures of historic, vintage looking flags. All stamping was done using Konad Special Polish in white. For the blue base, I used 2 coats of Zoya Sunshine. The red base is 3 coats of Zoya Chyna. The stars design is off of Nailz Craze plate NC05 and the stripes are from Winstonia plate W107. I can definitely see this being my go-to design for any patriotic holidays anytime I might have trouble coming up with something new to wear instead. 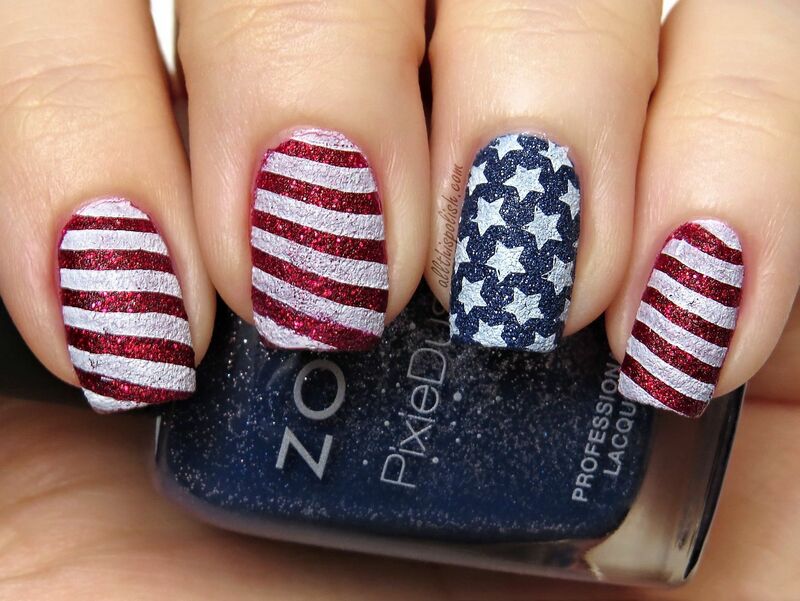 Stars and Stripes - Happy 4th of July!